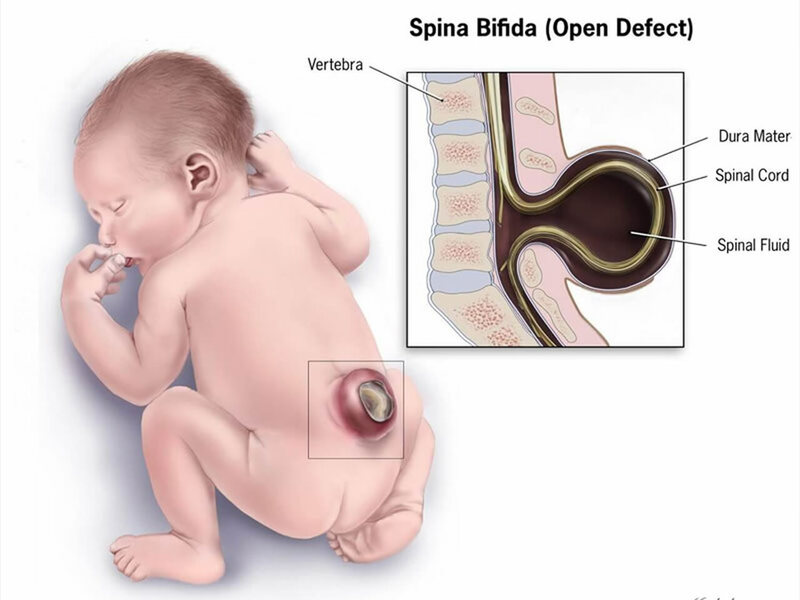 Spina bifida is a condition in which a baby’s spine doesn’t properly develop, leaving a gap. This happens during the first month of gestation, when a neural tube is developed. If this development doesn’t work properly, a baby will be born with a ‘neural tube defect’ (NTD), of which spina bifida is one. The spine is a column of vertebral bodies (bones) with discs of fibrous tissue between them. Behind it, you will find the spinal canal, in which the spinal cord rests. All the nerves in the body are connected to the brain through the spinal cord. For protection and proper functioning, the spinal canal has arches of bone around it that connect to the vertebral bodies. When someone has spina bifida, the arches of the bones don’t properly close. In mild cases, there is only a slight gap. In more severe cases, however, the spinal cord doesn’t form properly. It isn’t really known what causes spina bifida, although there are a number of risk factors. The best way to prevent the condition is by taking folic acid before pregnancy and during the first month of gestation. The most serious type is myelomeningocele. Here, the spinal cord and its membranes (the meninges) actually push out, creating a sack in the back of the unborn baby. The spinal cord is often significantly damaged and babies are vulnerable to life-threatening conditions. With meningocele, the meninges are the only thing that pushes out of the spine’s opening. This can usually be surgically corrected with excellent results. There is usually no further damage to the nervous system, although it is common for those affected to have bowel and bladder problems. Finally, there is spina bifida occulta, which is the mildest and most common type of spina bifida. Here, there is a very small opening in the spine and it is covered with skin. This means that there is no obvious bulge because neither the spinal cord nor the meninges are able to push out. Most people do not experience any symptoms and often don’t even know they have it. In some cases, those who have the disorder experience some general weakness or reduced sensation in their legs, as well as bowel and bladder problems. It is actually believed that between 5% and 10% of the general population actually has spina bifida occulta, but most of them do not know it. Usually, they only find out if they have an x-ray of the spine for a different condition, so that many never find out at all. Spina bifida occulta is actually two separate conditions, each of which has different consequences. Because of this, it can be hard to properly diagnose. Additionally, improperly qualified professionals are often confused as to the diagnosis to make. In the vast majority of cases, people who have spina bifida occulta have just a minor fault in one of the vertebra found in the lower back. No matter how minor it is, however, it is still called ‘spina bifida’ and this is something that often causes great emotional distress to people who are diagnosed with it. 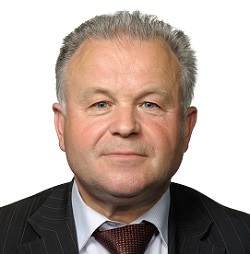 Medical professionals, therefore, should properly explain that it is actually an insignificant condition and that it will not have any detrimental effect on the patient or their children. Unfortunately, a small number of people have a more significant form of spina bifida occulta. They may have a larger split in their spine, for instance, or the split can involve multiple vertebrae. They may also have a number of outwardly visible signs, such as birthmarks (neavus) or moles, patches of hair or dimples. If these outwardly visible signs are higher than the level of the patient’s buttocks and in the centrally placed mid line, there may have a more significant form of spina bifida occulta. If a sinus or dimple is lower than the level of the buttocks, it is most likely an innocent mark and will usually not point towards an underlying spina bifida occulta. For those who have spina bifida occulta in a more severe form, they may also have a number of associated difficulties. These include reduced sensation and weakness in the legs, foot deformities, bladder infections, change in hand function, bowel problems, and incontinence. These problems tend to manifest because the spinal cord and the backbone become tethered together. Babies may be born without any visible problems, only to suddenly start to experience various symptoms when they go through adolescence, a period of very rapid growth. This is because, at that time, the spinal cord’s nerves become stretched. Depending on the severity of the spina bifida occulta, these symptoms can worsen over time. It is very important for parents or carers to consult with their family doctor if they believe their child may have spina bifida occulta. After an examination, the doctor can then refer the child to a neurosurgeon, if appropriate. There are a number of specialist scanning tools that can be used to identify whether or not there is indeed a problem, including the magnetic resonance imaging (MRI) scan. This scan will clearly show the positioning of the spinal column and the nerves. A neurologist will then be able to draw conclusions and advice on the best course of treatment for the patient. Those who have spina bifida occulta, and particularly those with progressively worsening symptoms will require an operation. This will address the tethered or over-stretched spinal cord. The operation will be on the lower back and is designed to help relieve some of the pressure and tension on the spinal cord itself. It is a very effective procedure and a fairly simple one to complete. However, no surgery is without risk and there are some situations in which the operation can become more complicated. There is also a 2% to 5% risk of the operation failing completely. In most cases, symptoms in the legs can be treated through this operation. However, bladder function is usually not addressed and it is very difficult to have that return to normal. The operation, known as a ‘detethering operation’ is designed to stop bladder and leg function from deteriorating any further. It is vital that any neurosurgical assessment is done as soon as possible after the symptoms first start to appear. The operation should be completed by neurosurgeons who have a particular interest in spina bifida occulta. Most people who have spina bifida occulta do not have any complications. They also do not have a higher risk than other people of having children who have an NTD. As such, with the mild form of spina bifida occulta, people are part of the average population. Those who have a more complex form of spina bifida occulta, however, will also notice a more profound effect on their lives. Some neurological problems may exist, either from birth or later on in life, and they may be progressive. Those who have this more complex type of this NTD also have a higher risk of having children who will also have spina bifida, either occulta or cystica. The risk is, on average, between 2% and 4%, which is significantly higher than the average population. The same risk percentage exists for those who have spina bifida cystica. All people, whether they have spina bifida occulta or not, can dramatically lower the chances of having a baby with the same NTD by taking the B group vitamin folic acid. The recommendation is that all women start taking a folic acid supplement (between 400 and 1,000 micrograms) one month before they start trying to conceive, and to continue this until they reach one month gestation. Additionally, it is recommended that they have a diet that is rich in folates, which is natural folic acid. Those who are at increased risk of having children with an NTD may be prescribed higher levels of folic acid (up to 4,000 micrograms). However, this should only be done if so advised by a medical professional. People who are classed as being at higher risk include those who have spina bifida themselves, people with diabetes, those with seizures and, sometimes, the overweight.